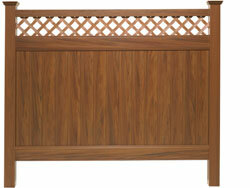 Enhance your outdoor living space with the natural beauty of Landmark Wood Grain privacy fencing. 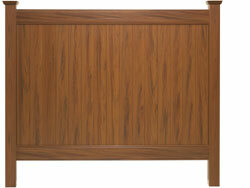 You’ll enjoy the rich look of high quality finished wood, the carefree maintenance and Lifetime Warranty too. 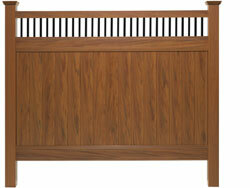 Made from a high-tech acrylic capstock over PVC, our wood grain fencing has undergone rigorous weather testing for achieving resistance to color-fade. 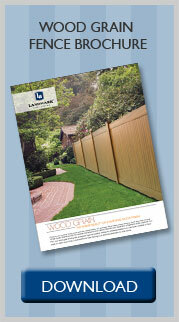 Available in three styles to match your home, Landmark Wood Grain fencing is an attractive alternative to solid colors.